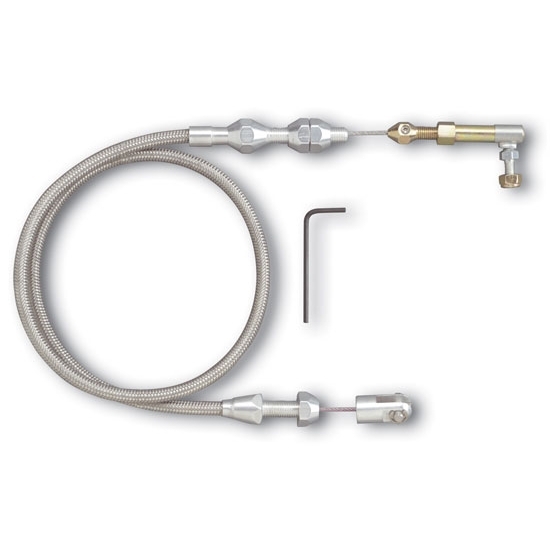 All Lokar Hi-Tech Throttle Cables are designed with a specially extruded liner for extended life of the cable – not to be confused with ordinary braided brake hose. Cables are equipped with aluminum fittings and aluminum ferrules to eliminate fraying. "U-Cut-to-Fit" outer housing is available in 48" lengthswith a "U-Cut-to-Fit" stainless inner wire. Clevis is designed without cotter pins or set screws. Adapts to factory and aftermarket pedals. Kits complete with installation instructions.